Rapid Dominance always researches in ways to improve our products through the use of advanced materials, rigorous in-house testing, and user’s feedback. We design and incorporate ergonomics, balance, strength, multi-functionality, and style into all of our products because these are the core values of each of our products. The result is innovated products that not only look good but that also perform exceptionally well. 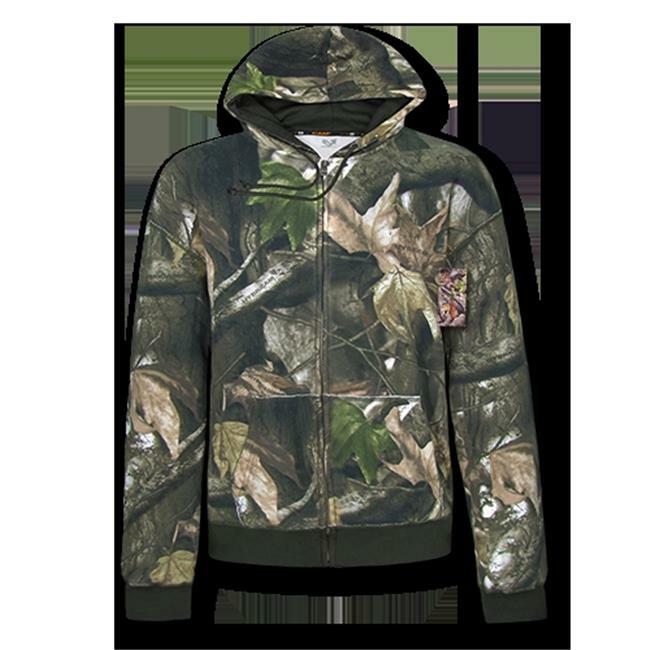 This Hybricam Full Zip Hoodie will be the perfect addition to any outdoor enthusiasts wardrobe. This hoodie is extremely soft and comfortable, made of 70% cotton & 30% polyester. The unique Grey Bark camouflage pattern will blend in with nature. This pullover will keep you warm during the colder months of the year, perfect to wear while you are exploring, fishing, hunting or hiking. Features a full front full zipper, hood with adjustable drawstrings, double-needle stitched shoulders, armholes & cuffs. The waistband is finished with two front pockets that offer a useful place to store valuables.